What's your favorite MtG card art? I'll have to enter this once I'm on a desktop pc. My favorite artworks typically are the dark ones since they encompass so much terror and emotion. My number one favorite is the Kaladesh Mind Rot, followed by the Conspiracy Phyrexian Arena! I always loved Zendikar's art. In general I'm a fan of the art from older sets. Some of these are older than me. My all-time favorite is Wind Spirit. Phyrexian Arena is my favorite card to play. I like 8th edition's art too. When Zendikar was released I built Vampire deck only because I liked their art. Vampire Hexmage, Nighthawk, Gatekeeper of Malakir,,etc. It was a good deck! My absolute all-time favorite. I love the juxtaposition of zombie silhouettes against church glass in the original, and I loved the callback to the original in the SOI version. Another great one from SOI. Sorin's expression is what makes it so great. Innistrad all the way. The reference to Kafka is unmistakable here. This one's so...well...circular. The art spirals all the way into the point where the mage is standing. Terminus makes the best use of the Miracles border. Just. Awesome. So much aggression. Something extremely graceful about Lili's expression here. My favourite card name paired with amazing card art. Just reading the name and staring into that void is unsettling. Gideon's faith has been sorely tested following the death of Oketra, the one who brought back his faith in gods. His anguish is clearly visible here. If you'd asked me to draw a 'bogle' without telling me what it was, I'd have come up with something like this. You have great taste @KalamMekhar but imma pick a fight over "Disney India", Disney most of the time does a lot of work to get its cultural and other time period-specific references accurate, then adds in its own western fantastical themes and characterizations. Kaladesh did very very very little to include actual Indian culture. I'm not an expert but I'd have to agree disney does a fair job at cultural gathering. But they do have their issues as KalamMekhar mentioned. There is no way in hell I can pick just 1. I love art and magic is chock full of it. Its what drew me to the game in the first place. So here's a few I can remember off the top of my head, but this doesn't even break the surface! @modnation675 ya they've had to grow like many western companies have, but specifically as far as their produced works go, I think they're quite inclusive and accurate, though still missing some openly alternative lifestyle characters. A personal favorite of mine. 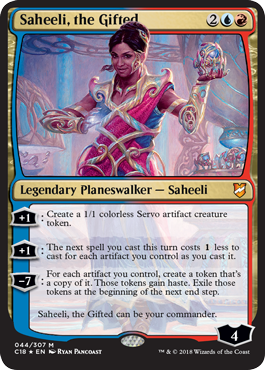 I really like the Dominaria aven so seeing this art pop up was a real treat! For me, the pose is great and the colors are also rather nice. I'm neutral on most of the saga art, but this one caught my eye for the style. Stained glass digital art isn't seen too often and to see it on an MTG card like this was quite stunning. The variety of colors was amazing and I feel like it got the intended saga across very well. 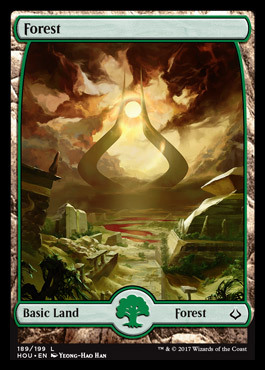 I'm not usually one to care about basic land art, but this one in particular is absolutely gorgeous. 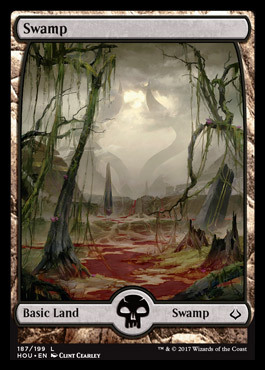 I love it when the swamp art is purple or dark blue, I feel like the traditional gray and dark green swamp colors are just sort of bland, and the little dots of light throughout this one add extra visual that looks incredible. 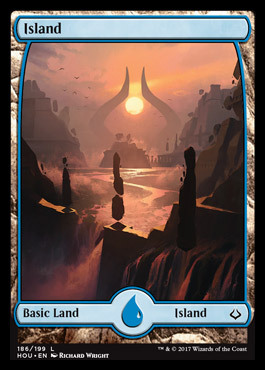 The rest of the lands in this art cycle are good too, but this one is an absolute favorite. While I'm not a big fan of the muted colors, the concept and execution of this one both horrifies and fascinates me. The lore behind this card also aids in my enjoyment of the art. It's the right amount of dark and unsettling for me. This one can only really be done justice by the whole image, as the bottom of the card largely covers up one of my favorite aspects of the art. Emrakul was already my favorite of the three Eldrazi titans, and seeing her return was a real treat, and when I saw the full art of her new card for the first time, I was stunned. Emrakul herself is very well depicted. 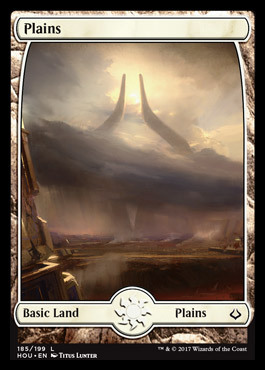 This is one of the first times we get to see an Eldrazi titan's avatar's size directly compared to familiar structures like buildings and it really works to show the scale. Not only that, but I was delighted and sort of horrified to find that, covered up by card text, a massive battle between residents and eldritch horrors was unfolding the below. I particularly love the frontmost horror. We don't really see much of the warped humans in other card art (most of it being things like werewolves and wildlife), and the way this one is shown is just perfect to me. This work really depicts the eldritch horror theme of EMN and just truly feels like Emrakul art. This one is a favorite of mine for the color. Everything really pops and the rightmost coatl in particular is a nice contrast to the blue of the rest. The style gives of a more fantstical approach than the Avacyn Restored one and it really shows. I was incredibly excited to crack a foil of this at the prerelease. This art was done by my favorite visual artist, Julie Dillon. Her style is distinctly recognizable with a more fantasy, booklike visual that includes a stark contrast of colors between the depicted aven and the soul they're catching. The only other piece Julie Dillon has done for MTG is Flesh to Dust and I really wish she would/could be called upon to do more. 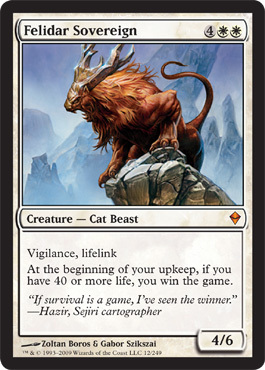 My all time favorite is Felidar Sovereign. He just looks super cool. 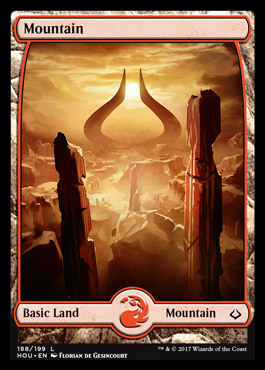 I also love the Hour of Devastation basic lands with the Bolas horns. 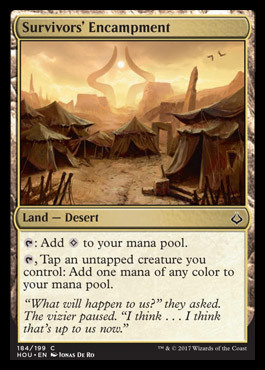 I wish WotC would make more centrally themed land cycles like that. I have always loved Quentin Hover's artwork. I was sad to hear he had passed away a while back. His art would always make me want to build a deck just so I could use the cards! Don't have a specific set of "favorites," but anything from Jesper Ejsing (112 cards so far) is going to be up there.